A Minister of Justice Park Sang-ki, on January 11, announced that he is aiming to close the exchange for the virtual money issue. 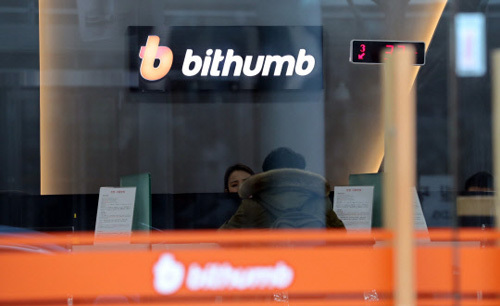 Mr. Park said at the New Year`s Press conference held at the Gwacheon Justice Office on the day, "The Ministry of Justice is preparing legislation that basically prohibits virtual currency trading through exchanges. The government said it will not allow irrational speculation when it introduces additional special measures for eradicating virtual currency speculation on December 28, and said it would consider enacting a special law for the closing of exchanges. Meanwhile Minister also said, "The Ministry of Justice has taken a negative view from the beginning (to the virtual currency) and continued to convey such views to relevant ministries." Currently, there are no differences between ministries in the direction of the Ministry of Justice It will also be implemented. " He said he would not be able to disclose the closing date of the exchange, but said he would work with relevant ministries to implement several measures in the middle. He also said, "The government continues to warn that it is a very dangerous transaction, and the message has not been conveyed." It is the basic government`s position to warn that virtual currency trading is extremely dangerous and that the bubble may be turned off." Minister also expressed strong concern about the virtual currency market and trading behavior at present. He said, "The virtual currency transaction is taking place in a similar pattern to speculation and gambling." Compared to the steepness of a commodity trade, Kimchi premium appeared in the press as a completely different dimension, "He said. He stated, "Virtual money is not a transaction based on a certain value." "If the funds to be invested in the industry fall into the virtual currency and go abroad, and when the bubble collapses, I think the amount is too big." The point is that the US does not open a policy to close virtual exchange exchanges except in China, saying, "The United States is subject to all types of transactions in the futures exchange, so it should be viewed in this respect, I do not know what to do."